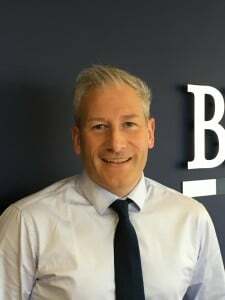 Jonathan Holmes, our Managing Director for Blenheims South West is responsible for Blenheims’ portfolio across the South West and is supported by our teams in Bristol and Torbay. His knowledge about the industry is extensive and he regularly contributes to the local press, responding to queries about the sector. Here, he answers a question from a leaseholder regarding major works. The block of flats I live in needs some fairly major repairs to the roof and windows which are going to cost a significant amount of money. Some of the owners don’t want to pay for this, but the work needs to be done. Is there anything they can do to prevent it from going ahead? The short answer is no, providing the right process has been followed by your managing agent. It is likely that the works needed on your building fall under the Section 20 Consultation rules that deal with “Qualifying Works”. These rules take effect when the cost of works to any one leaseholder in a property is more than £250 (including VAT) and define a consultation process that must be adhered to in order to ensure that the cost of the works can be recovered. The first stage is Pre-tender Consultation, which advises owners of the scope of the works and invites their observations and nominated contractors. This is followed by Tender-stage Consultation which provides at least two estimates for the works, offering owners the opportunity to view these and put forward their observations. Both these stages need to clearly specify reasonable timelines for receipt of observations and nominations. The final stage concerns the Award of Contract and must be sent within 21 days of the closing date for observations regarding the tenders where the contract has not been awarded to the lowest estimate or to a nominated contractor (it is not required in these two cases). So, as long as your managing agent has followed the correct process as far as consulting is concerned, your Landlord or Resident Management Company has the right to demand the funds from all owners. Work will not be able to start until all the funds have been collected however, and it has been known for people to withhold these and cause significant delays. We prefer to work with owners who are uncomfortable with the estimated costs, before recovering the funds via legal means, which is generally the best way of achieving payment and avoids the unpleasantness that legal proceedings can cause. Planning a project well in advance and engaging with property owners are the keys to its success. This is, of course, the spirit of the consultation process. In your particular case, if negotiation and reasoning aren’t enough to persuade all owners that the work is needed and the costs reasonable, following due process will ensure that the works will in time proceed. If you would like to speak with Jonathan about any aspect of your current management arrangements, please get in touch either to jholmes@blenheims.co.uk or by calling 01803 668730.